Going green? Consider banding instead of traditional bundling processes such as poly-bagging, chipboard boxes and shrink wrap.  Wexler Packaging Products is proud to offer waste reduction solutions through the use of paper and poly film banding. We believe that a commitment to the environment should not be a financial burden to your company, but rather an opportunity to explore alternative packaging solutions, like banding. Paper and poly film bands are often less expensive than other bundling processes and have the added benefit of providing new packaging solutions. In addition, banding also helps to reduce waste while passing on significant cost-savings. Explore the possibilities and discover banding!